I seem to have made a lot of things over the last couple of months, but not really blogged much… so I think it’s time to catch up with some of the things I’ve made! 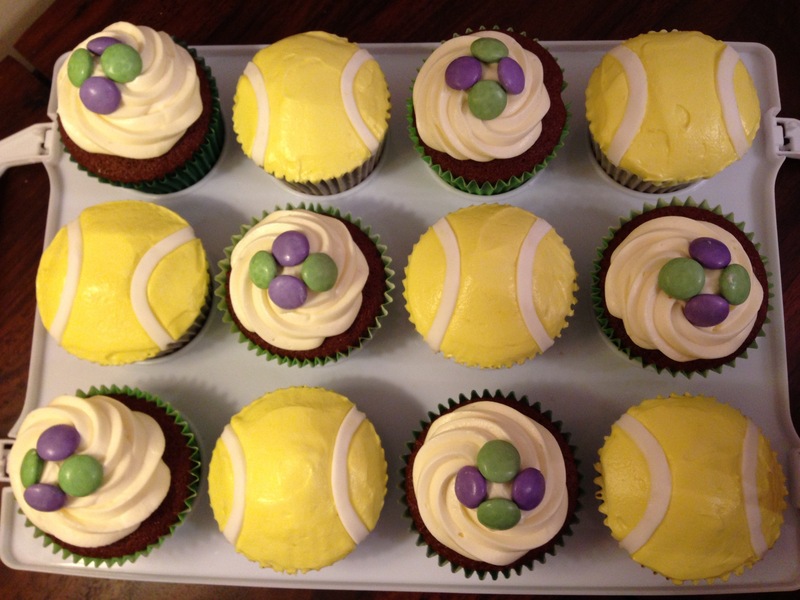 These are slightly out of date now given I made them during the Wimbledon fortnight but given its still summer/tennis season, I think they’re still relevant. 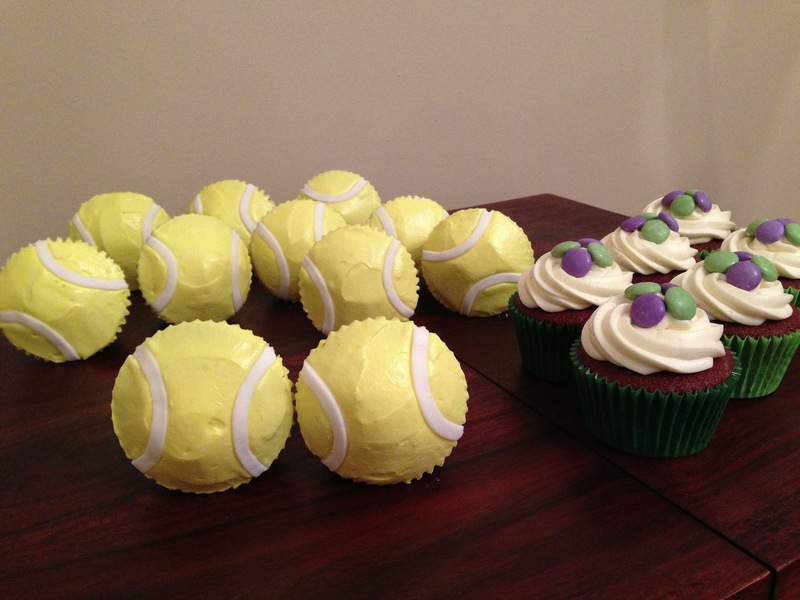 The tennis balls were pretty simple to decorate. I made chocolate cupcakes and a white chocolate buttercream which I coloured yellow. Using a palette knife I spread this on top of the cupcakes so that the tops were smooth. I then cut out some thin strips of fondant icing and lay two of them, slightly curved, on top of each cupcake so that they looked like tennis balls. 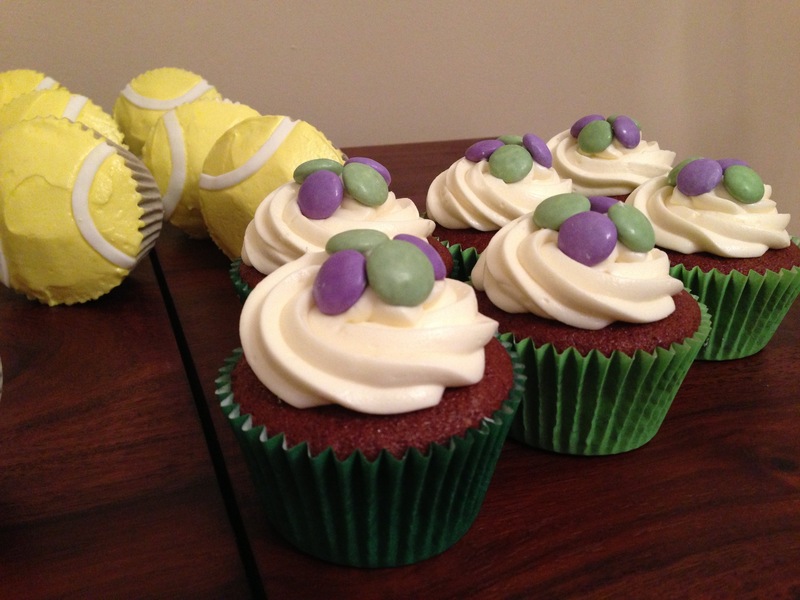 The other cakes were just decorated with a swirl of buttercream and some Smarties in Wimbledon colours.